Boards designed for light winds will naturally be comprised of a larger surface area; typically a harmonic balance between length and width. These boards can be twin tip or directional boards similar to surfboards. 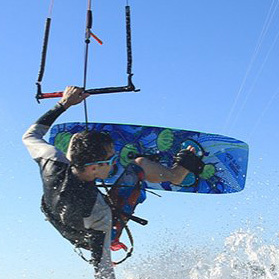 Light wind boards can also be great for heavier riders and those who are new to the sport.